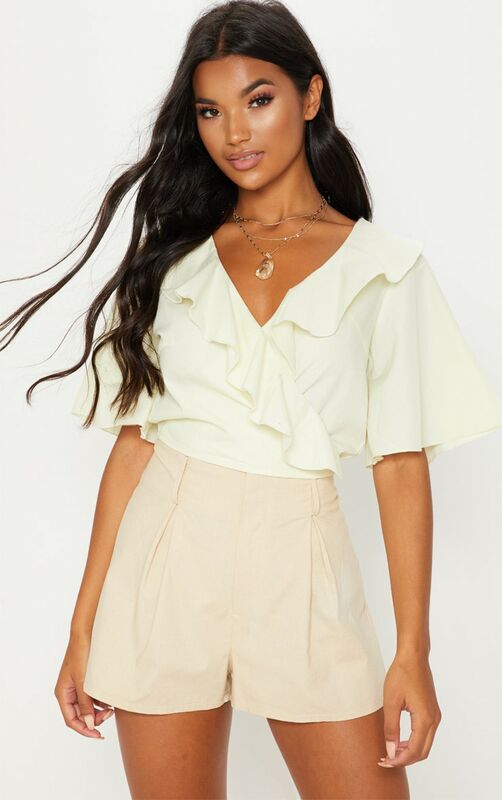 Frills are our favourite right now and this blouse is the perfect pick. 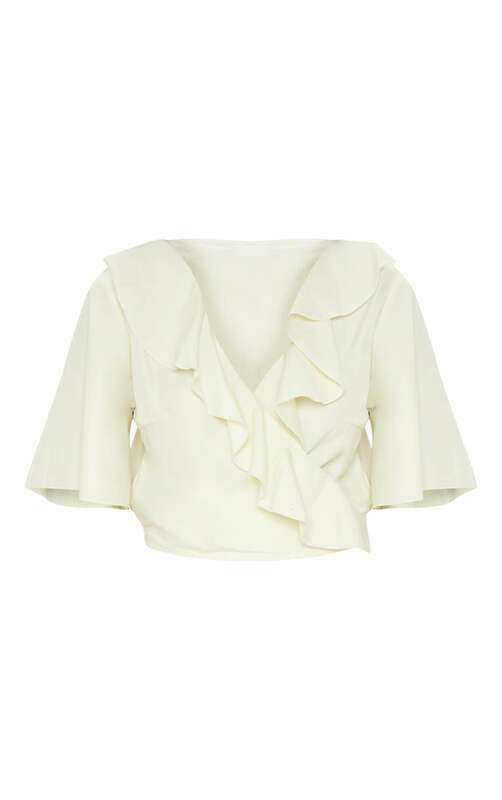 Featuring a pale yellow material with a statement frill detail and wrap design. 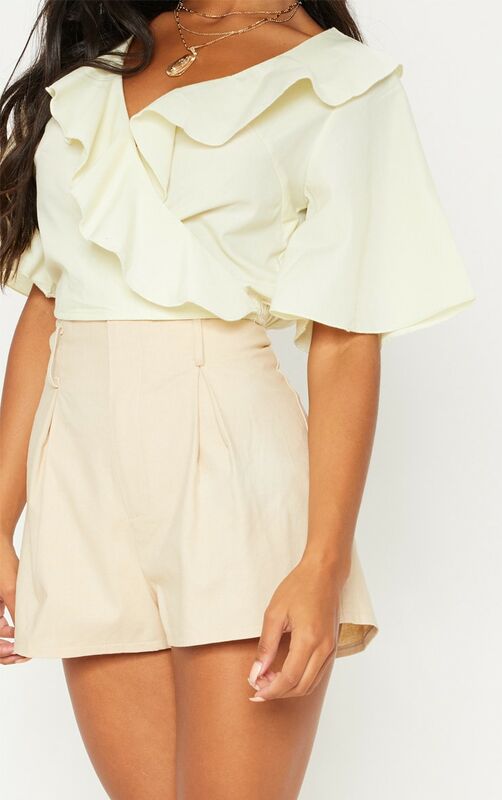 Team with stone high waist shorts, chunky sandals and add a straw or clear pouch bag to finish off the perfect outfit for your vacay.